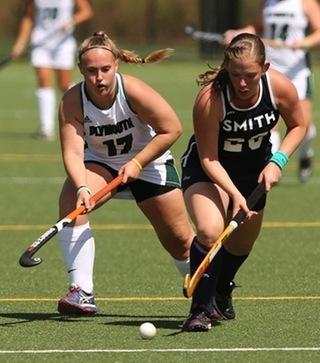 The Plymouth State field hockey team hosted the University of Southern Maine this past Wednesday in a Little East Conference match-up. Southern Maine was able to run away with the win, 2-1. With that, PSU moves to 4-9 overall and 4-6 in the LEC. The game was dominated by USMfrom their prominent offense and a strong defense. Even with all that, the Panthers held them off and went scoreless all through the first half. But it wasn’t an easy half as USM was showing them what they were made of and came out hard; literally. Grabbing a few fouls, getting penalty corners and blasting shots at goalieJess Distler (Brookfield NH), that all happened within the first few minutes. Haley Wakefield (South Paris ME) had a scoring opportunity halfway through the first half but ended up going too far right. The second half continued the silence up until about 12 minutes into the half when USM scored. The sophomore goalie kept her composure and kept blocking shots and keeping Plymouth in the competition. Making body saves and several recoveries. USM added another goal late in the half to assure themselves the win. But the Panthers weren’t rolling over and giving up, they fought hard and it paid off just two minutes later. 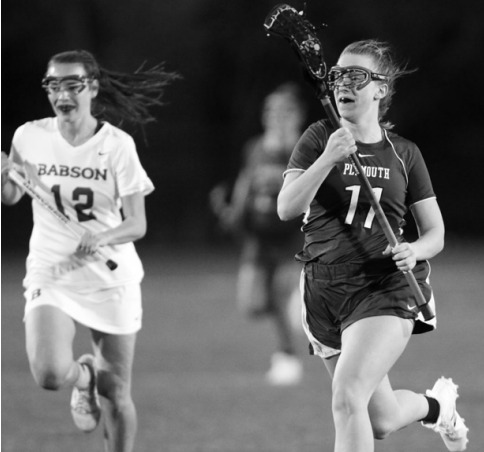 After a penalty corner, Patty Newhard (South Dennis MA)found the ball to the back of the net.PSU kept going strong with offensive plays by there just wasn’t enough time on the clock. Field hockey is set for another LEC match-up against Westfield State this Saturday. Playing at Westfield, the game is set for 7 p.m.
“We are approaching playoffs confidently, after the Keene game we realized what we can do, and how hard we can push ourselves,” Mezquita added about this final stretch for this season.